I was encouraged a few years back to explore foraging … and I love it. Less interested in that which grows deep in forests and very interested in that which grows in meadows and suburban lawns and at the scrubby edge of well-manicured community paths, lawns and corporate office parks, I find myself thrilled with foraging. It’s the ultimate in sustainability (it requires no input or labor, except in the harvesting); it’s a no-brainer for locavore eating and, for certain, it makes eating (some food) seasonally quite easy. A year of so back when Pinterest was all the rage (is it still?) 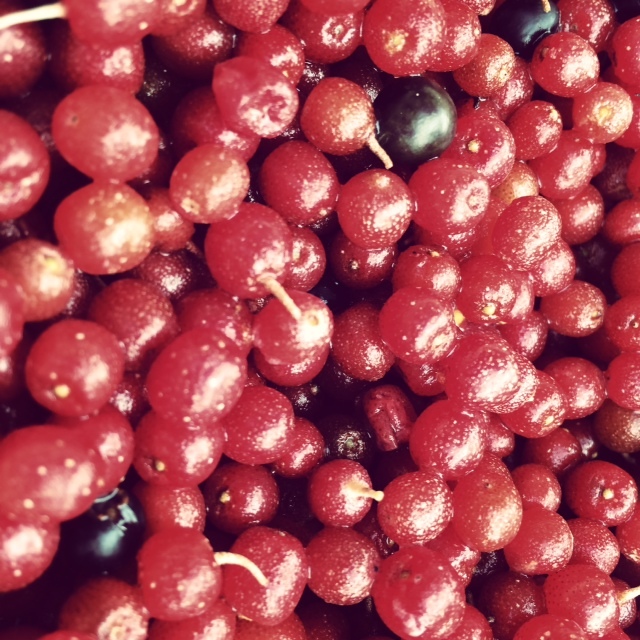 I decided to learn about Pinterest and I chose to create a Howard County, Maryland – Wild Edibles board, at which time I discovered that this insanely invasive bush, the autumn olive, produced edible, tasty, nutritious berries. Come “autumn” I decided to find and harvest some berries. I read one post where a forager spoke of filling gallons of buckets in less than an hour by pulling on the branches and letting the berries drop into a bucket. I tried that. I certainly didn’t get gallons, though I got a lot of leaves, unripe fruit and organic bits that required a fair amount of cleaning. I also had a hard time balancing the bucket. 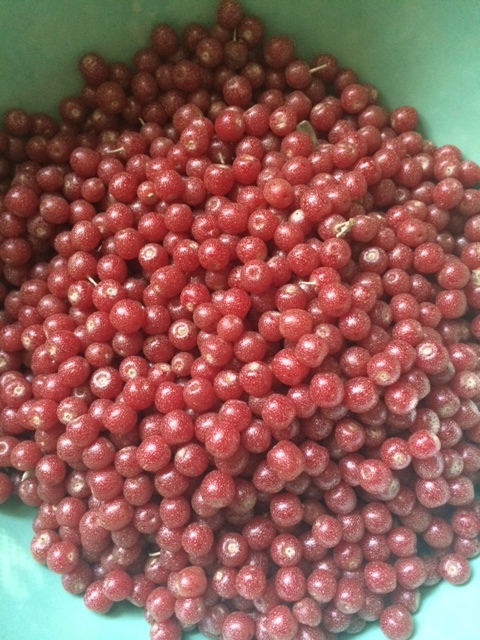 The next day I went out with a sling-style bag and picked each berry by hand, producing a yield of near-perfect berries with almost zero debris and, certainly creating a much happier experience for me. As the berries are in season now, I’ve been reading more about them and, Lordamercy, are these things ever invasive. They seed and spread so easily, they grow to be rather large bushes, they are super-prolific in their berry making and, resultingly, they are nudging out many other plants, thus decreasing the biodiversity and habitat for other creatures, blood-filled and otherwise. Here is where I discovered a growing movement of invasivores, people dedicated to eating invasives. (One site includes an autumn olive and goat cheese dressing, interesting!) This “movement” motivated me to denude (to the level I can comfortably reach) one of the richest-in-berries bushes I’ve found to date. It’s quite a challenge and one that will take me several days and will yield many thousands of berries. For fruit leather (my first attempt) I found it a disaster. I got so many steps wrong. 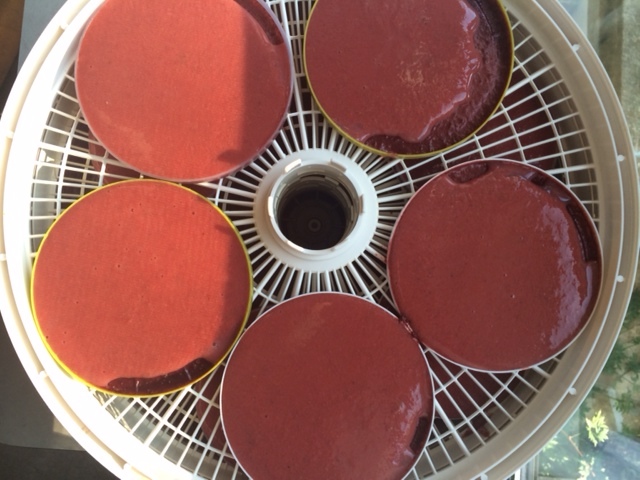 I made it in my dehydrator, but didn’t spray the fruit leather tray with Pam (or equivalent) and found the labor of trying to remove the thin layer of fruit leather a PITA. It was also messy as the autumn berry liquid (boiled in water, seeds and pulp removed via a mill) was super liquid-y and it didn’t sit or stay well, though it did a darn good job of rolling over. And I could list a half dozen other mistakes I made. What to do? An inspiration! I found a dozen or so large yogurt container lids, put them in the dehydrator and filled them with the liquid. 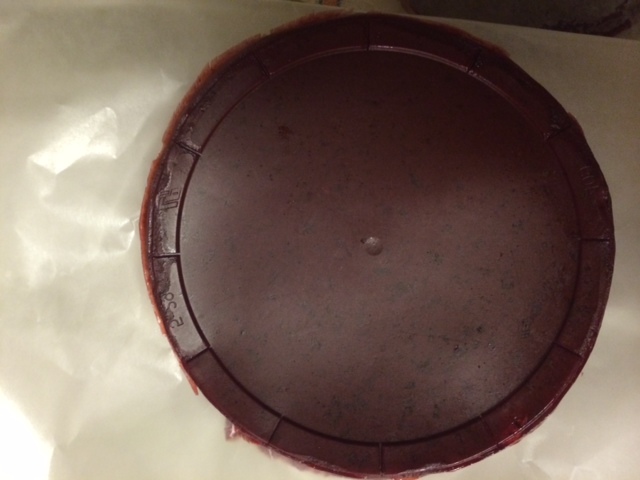 And while I ate some of the fruit leather the next day, I also wanted to make a more substantial snack, so I poured in a second layer of the liquid on day two and doubled up the thickness of the leather. Delish. Super easy to remove and quite awesome. Fwiw, I added a small amount of sugar and a bit of citric acid. And now I’m experimenting with other flavors and a fruit leather of the seeds and pulp left over; I like the taste of the seeds, personally. Stay tuned. Fresh-picked autumn berries. I’ll boil these and run the liquid through a mill to remove the seeds and some pulp. My nifty solution of pouring the autumn berry liquid into yogurt container tops, thus creating a contained space for the fruit leather … and make the removing of the dried leather much easier. I’m a big fan of wild foraging, wild edibles and — especially through the eyes of my mostly suburban existence — free food in my yard and along the pathways where I walk. Wild edible foods provide some of the most sustainable, biodynamic, healthy, seasonal and inexpensive and enriching ways to supplement my diet. I don’t “forage” all the time or with any particular consistency, but I do turn up my attention in the spring. Right now, one of the foods that is easily available is wild grape leaves. They are distinct and very easy to spot. I find them along bike/pedestrian paths all throughout Columbia. The grape plant leaves crave the full sun so the leaves are easy to access. Younger, shinier, fresh-looking leaves are the ones to get. While many people make stuffed grape leaves, I just don’t have the patience to make some time-consuming foods. What I do is find a recipe for stuffed grape leaves (dolmas) and then finely chop the grape leaves and saute them in the dish I’m cooking. So instead of the leaf being a wrap, it’s an ingredient. Thousands of pounds of food … wasted? Were people to truly understand that tens if not hundreds or thousands of pounds of food were being wasted each year in communities across the nation, there would probably be some sort of outcry. Indignation at least. Perhaps a call to action, a call to reform. 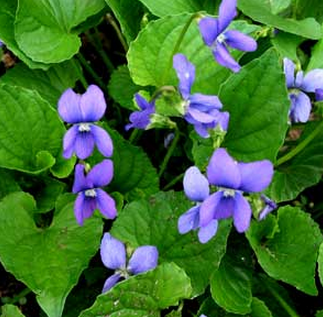 Violets, both the flowers and leaves, are in your yard, delicate and delicious, nutritious and free. I can tell you this food waste is true, though I doubt such indignation and calls to reform will happen for it is in the eyes of the beholder to see this food and call it such. And such perspective requires a shift in thinking and perspective. Given my own challenges with change and watching/experiencing others deal with paradigm shifts, I’d gander my claims will seem extreme. For now, that is. I offer that tens/hundreds of thousands of pounds of food are, indeed, being wasted each year simply for the lack of willingness to expand our individual and collective thinking to include wild edibles as food. 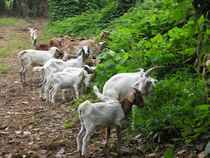 Particularly now, particularly in the months of spring, the bounty of food that is edible in most people’s lawns, in open fields and along pathways, at the edges of woods, and along highways and roads is robust and plentiful. In each generational season, attitudes toward pretty much everything make a huge shift. Each “cultural season” is approx 20 years long and the cultural attitude of the times matches what one would associate with a season in nature. We’re in Winter now. A time of making do with what one has. A time of conserving resources. A time of being creative with what’s available and on hand because the nights are long, the days are cold and and it may yet be some time before the ground thaws let alone the plants set fruit and vegetables. And so we make do in Winter. That’s the cultural undertone. We find ways to DIY. (Anyone else notice the profound spike in DIY energy, craft and maker orientation, people’s pride in “I made it myself,” a surge in the desire to can vegetables, homestead, live off the land, garden, make do … ?) That’s the energy of Winter, and it’s appropriate to the season. 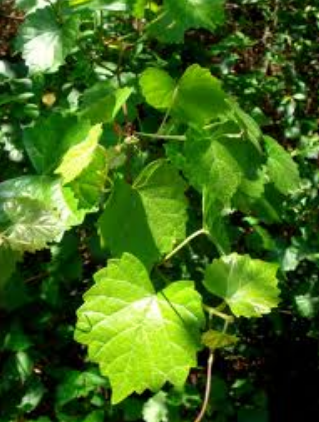 tender wild grape leaves can be harvested and cooked in many dishes. These are just a few examples of what is available, free, healthy, local and seasonal. While it may seem extreme today and while many people may say, “I’m not going to eat any weeds!” I offer that local wild edibles is the next big trend in food. And the beauty of it all? You needn’t go to an upscale “health food” store and spend $87 on one bag of groceries to eat this way. The food is all available, around and, literally, there for the taking. I want to learn more about wild edibles, and I’m interested in connecting with others who are knowledgable and/or curious. I’ve created a Pinterest board of wild edibles in Howard County, Md., and I’m open to having others pin relevant wild edibles. I love watching the Earth — and all her pieces — wake up, emerge. I love seeing that which was dead, transformed to become something anew. A couple years back, interestingly — or oddly, depending on your perspective — I went on a binge collecting dry, raked leaves. I believe it was the fall of 2008. I had a favorite leaf I scoured for: the small, PITA leaves of the locust trees planted with abandon in the early ’70s in my hometown, Columbia. I like these leaves because they’re already shredded, in a sense. 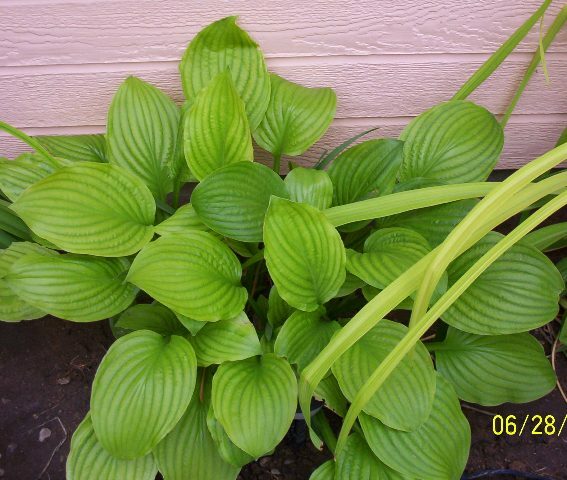 They’re little and more easily composted or used as a mulch in flower beds and around bushes. I’d go out in the neighborhood, with the now-returned rolling recycling bin and a rake in hand, looking for the locust trees. The little leaves would be in mounds in the street, dry, easy to collect and plentiful. 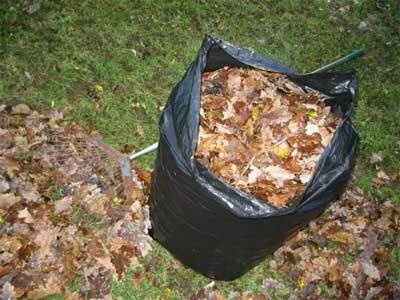 If you live in the 21045 ZIP code and were missing bags of leaves a couple years back, I might be your culprit. When I ran out of that option in my easily walkable vicinity, I turned to leaf-bag snatching. I’d drive around in nearby neighborhoods the night before the yard-waste pickup up, and I’d scavenge. I’d look for bags of leaves that were dry and mostly twig-free. If the leaves had a mix of grass clippings, all the better. (I needed green material and vegetable matter to speed decomposition.) I borrowed a neighbor’s leaf mulcher (side note: if I were God, I’d mandate each SFH have one of these and have to use it!) and then I mulched, mulched, mulched the leaves. I spread them on every bit of bare soil around shrubs, perennials and flower gardens and, of course, in the vegetable garden. And when those options were filled to the hilt with mulched leaves, I turned to the fairly large deck off the rec room. It was high enough off the ground to provide crawl space, but low enough that mostly what was below the deck was hidden from view. Bag after bag of snatched leaves went under there. I pushed the leaves as deep and far back as I could. I brought in more. And more still. 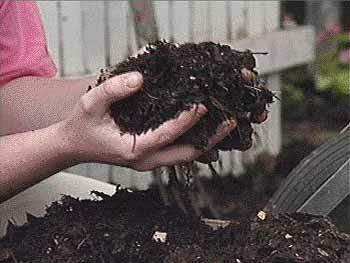 I dug the earth from under the deck, scooped it and threw it on the leaves to weight them down and bring some Earth bacteria and little critters into the mix, to accelerate where I could their decomposition. I had an intense feeling that the concept of “being green” and “sustainable” and “eco” and all that jazz was nothing — meaningless — if I wasn’t doing it MY OWN environment. I felt a deep and undeniable need to create soil. To enrich the Earth. To fortify the content of the ground in and around the home. I needed to know that regardless of what was happening across the street, or down the road, or uptown or in Namibia, for that matter, that I would do what I could to make my soil rich. And that I would do so as much as possible inside the realm of the ecosystem and opportunities in my range. Then spring and summer of the next year came. The mulched leaves were remarkably transformed. The full leaves needed to be, for the most part moved. A portion could be dug under and into the soil, but most went under the deck, added to the now-reduced volume that I’d piled in there in the fall. With summer came grass clippings. I gathered some of those, a bit wary and not too zealous, as I assumed many of my neighbors used weed killers and other chemicals that would affect the worms, critters and bacteria working so diligently to transform what once-was-dead into that which could provide new life. My secret weapon was the large plastic bags filled with vegetable scraps from a grocery store. I’d pick these up, here and there, and throw them under the deck and into our compost pile. My obsession had sequence. It had logic and a plan. The rains. The heat. The seasons. They came and they went. Now, here I am, on Easter Sunday, looking out at a garden so ready for new life. The compost pile I dug out on Good Friday. The dark, thick, rich soil, so heavy and ready to bring its capacity and value to the garden. The worms, hundreds if not thousands of them, ready to move into and about the garden to bring their ability to make even richer the new soil they’ll call home. * The many pounds of rich soil I’ve harvested from under the deck, used as amendments, topping and volume to bring new life to the flowers, shrubs and, even, grass. Hour for hour, everything I did was — if I was measuring from some outside view of looking at “effectiveness” and “ROI” — would be an utter waste of time. Foolish. Ridiculous. But I didn’t make soil to have soil. Soil can be bought. It can be delivered by a landscaper or big-box home-improvement store. No, I made soil with purpose. To transform that which was waste into that which had value. To live inside an ecosystem and maximize the uses and resources there. To make the soil and worms and plants and bacteria on this little bit of land where I live, more alive, touched, loved, enriched, called forth — and supported — to be more, to be its best. And for that enrichment to then fuel me and those I love, in the vegetables and fruits I’ll eat from the garden. When I walk barefoot on the grass, the soil and bacteria and little critters that live in the same zone I call home will be touched, nourished and supported by my work, my attention and my care. Someone else’s pic, but the same net effect in my yard. And this dirt, toil and labor — this is my experience of the holy season so many religions share. This is my experience of resurrection, my experience of rising up from the dead. Happy Easter, beautiful people. Rock on. ** Update: I’ve since learned that the thousand of little red worms are not baby worms ready to make their home in the garden; rather, they are worms specific to the composting process. As long as you still see these small little red worms in your compost, it still needs more time to transform before pulling it out of your bins to spread about in your garden. I’ll take the soup of the day and the flu buster. I have my own relationship to food. To health. To my body. I find myself intrigued and compelled to things that seem logical, Godly and easy. In that, I like the concept that food is God’s kindest and smartest medicine for strength and capacity, for curative powers and for prevention. And while I eat my greens and such, I also feel drawn to foods that are strong in taste, and Dr. Schulze’s SuperTonic Plague Fighter is one of my favorite examples of this. It’s a combination of garlic, onion, habanero pepper, ginger and horse radish, in a base of apple cider vinegar. (Recipe/instructions here.) And, if that doesn’t spark things up inside my body, I don’t know what will. Recently, a chef in Atlanta, commented on an earlier blog post of mine, that he not only makes his own STPF, but that he also sells it at his restaurants, and his customers love it. I’m wondering — and wouldn’t be surprised to see more of this — that as Individuals In A Nation Transforming, as expectations and attitudes toward caring about our health shift, what that might look like. Me? I’m interested in more personal responsibility. I’m interested in less righteousness about showing up at the doors of Our Health Care System, demanding endless treatment for problems self-created by a life-time of careless choices. I’m interested in supporting others and being supported by others in a culture informed by the belief that we each play a role in both the big — and the infinitesimally small — picture of A Healthy Nation. I want to walk into a local restaurant and be able to choose a good wholesome soup … and a bottle of flu buster, made fresh that day by the chef. 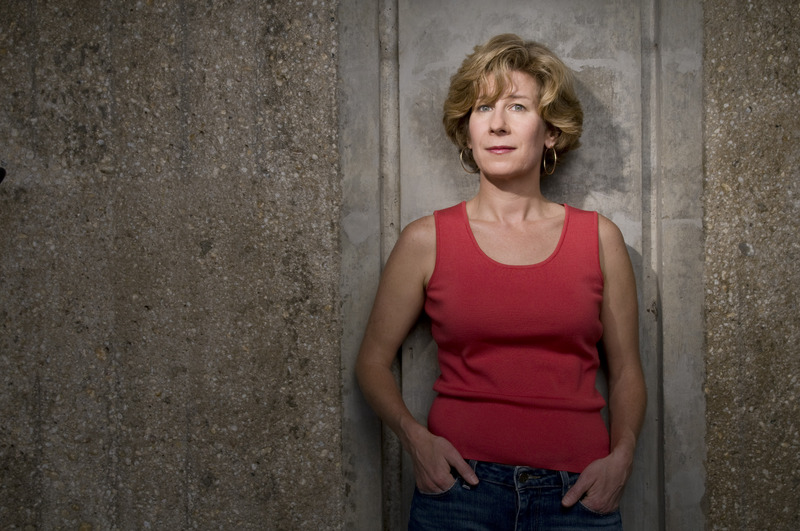 I want to be acknowledged by The Health Care System for the choices and lifestyle I’ve lived. I want to be honored and respected for that. And while I’m not advocating for specific punishment, per se, for those who’ve chosen otherwise, I want to live in a culture that speaks with a clear and honest voice about the impact of choices made. And the responsibility of individuals to participate in The Care Of Their Health while they receive from the bounty of The Health Care System. You? I don’t know what you want. I don’t know how you see it. I don’t ask that you see things exactly as I do. But I do want — and hope to find as I live my life — more people in the tribe/bandwidth/vibe of the realm of this thinking. The solutions: so many of them are right here, right now. It’s a matter of truth telling, I think. Being clear, real, straight up. Hey, I’ll drink to that! And I invite you to join me. Perhaps we can have a shot of SuperTonic Plague Fighter, straight up. Oh, if only the internet offered a scratch-and-sniff option. Your nose might be as happy as mine is at this moment. 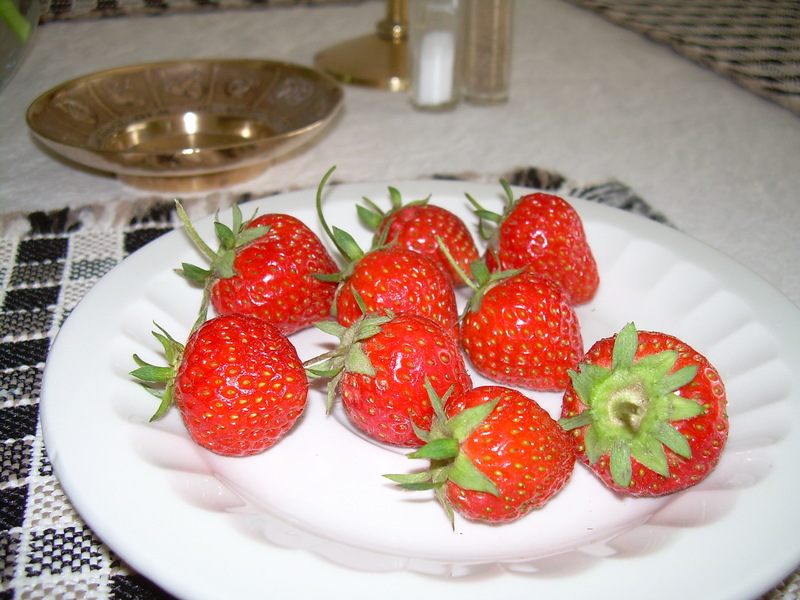 Those are fresh strawberries, right out of the garden. Fresh, fragrant and home-grown. And gone. Took me but a minute or two to eat them all after taking this photo. Every couple of years, I make a whopping batch of SuperTonic Plague Fighter, a recipe I got from the avid proselytizer of natural health solutions: Dr. Richard Schulze . I like to make my batch on special days. I made a Blue Moon batch in 2001, a Night of the Living Dead batch in 2003 and a Leap Year Day batch just this past Friday. SuperTonic Plague Fighter is great for fighting off icky things, and I take it often when I start to get the “Uh-oh, I feel like I’m getting sick feeling …” I also take — and keep plenty on hand –– Dr Schulze’s Echinecea Plus. Win a free bottle of my Leap Year Day batch of SuperTonic Plague Fighter. Answer correctly: Which ingredient has the hottest vapors when juiced? I met some ladies at the Takoma Park Folklife Festival, and they explained to me that the monarch butterfly, which traverses crazy distances (3,200 miles) to chill with its homeboys in Mexico, needs milkweed to lay its eggs. See, not one butterfly flies the whole distance to Mexico. They migrate as far as they can, lay their eggs, die, and the next generation continues on the course. But with more and more development, there is less and less milkweed. This is, of course, a not-very-scientific explanation. Go to their pretty site, The Monarch Effect, for more info. Even better, contact them, get yourself a plant or two, or a packet of seeds, and grow some ‘weed in your back yard. It’s a good thing. And, it’s easy being green. After all, a true “green initiative” is something with a result, observable in Nature, imho. Weed? Grass? What’s the difference? Well, if you’re a human, “weed” and “grass” may seem to be the same thing. But if you were a goat … well, there’s a world of difference. And this distinction may provide some interesting options for controlling scrub. OK, I get that this is a municipal endeavor. I see that it’s PR. I understand that it’s a values-based statement that says, Hey, HoCo is ‘about’ good environmental practices.” I believe that commuting, carpooling and public transportation options are components to be considered and developed. Everything’s cool. … And, probably, irrelevant to most people’s lives and life conditions. Now, here’s a concept: How about putting attention on the cleanest commute of all? Working from home! If the county wanted to demonstrate leadership in suburban transportation issues, it could assemble a team to identify, develop, aggregate and publish professional technical support materials for local businesses that wish to increase their home-based (partial and/or full-time) workforce. (Perhaps they already have?) The team could consult and work with companies through the implementation period to make this happen on the ground, in companies of all sizes, across many industries and professions. The benefits of offering such flexible work conditions are many and multi-layered, and this blog post is not about “the why” and the reason. There’s tons of info and easily accessible logic to answer that question. The issue is Are we going to lead? Or are we going to mimic? If we want to lead, then let’s do it. Assemble the team. Do lots of thinking first. This is not a commission. This is not a task force. This is a PAID team of thinkers: a combination of generalists and specialists. Some county staff, but mostly private business folk. Gather the existing resources for what works for home-based workers. In what professions does it work best? In what industries? Who are the local employers who can benefit most? Create technical support: materials, resources, training. Identify software, best practices, consultants who can work more intensely with companies as needed. Provide basic info back to the public for free, and then provide actual technical support and consulting for a fee … with a sliding scale determined by annual business income and volume of employees, for example. Track what works. Observe. Get feedback. Be willing to be wrong. To be nimble. To create anew. Analyze it. Think. Publish more data. Make Howard County a leader in providing *professional technical support* to other counties. We’re friggin’ loaded with smart, educated folk here. Let’s lead! We’re at the center of one of the most sought-after, intellectually dense (in a good way 😉 ) regions, so that’s our value, folks. We are the center. Let us send ripples of intelligence and thinking and problem-solving into our local county neighbors and beyond. That’s how we transition from being insular (bedroom community, boring) to being integrated and vibrant. Our intellectual capacity is our vibrancy. Our willingness to be at the forefront of social change is our identity. Let’s be that again! And here’s another point: having extraordinarily strong, well-vetted, tested and efficient systems for allowing people to work from home is very good practice and super-smart for emergency preparedness. The Horizon Foundation hosted a flu pandemic summit of sorts. See, one of the more probable emergency scenarios we face as a county is an avian flu outbreak, where people have to stay at home in a lock-down type situation. Think, for a moment, about what happens to commerce, services, safety and Normal Life in a situation like that!? I’m not proposing a task force, or a list of recommendations. I’m proposing an actual, functioning, service-providing entity and system for vastly — and rapidly — increasing the number of Howard County businesses and institutions set up to allow many people to work from home. And, here’s what I’m willing to do: If this approach (and result) is considered a value to our county, and if there’s a budget for it, I’ll get it launched.